Visiting Japan during New Year (Shogatsu) is a once in a lifetime experience. It is Japan’s most important National Holiday, even bigger than Christmas! It is a family affair, where everyone gets together and exchanges gifts. There are also many tourist attractions and fun things to do. Stores and restaurants are closed so getting around may be a bit of a challenge. The New Year’s season in Japan is full of special traditions, in particular, one before the new year begins, when the Japanese look back on the past year and bid farewell to old worries as a way to start fresh. A bonenkai, or “forget-the-year party” is an end of year party for friends and coworkers to forget the trouble and stress of the year about to finish. Lately, countdown parties have become more popular in large cities. Fireworks are not typical at New Year (tip: in Tokyo, if you wish to celebrate the New Year with fireworks, you’ll have to travel to Yokosuka and the Yokohama Hakkeijima Sea Paradise or to Tokyo Disney). January 1st symbolizes joy and no obligations. Japanese homes are decorated with pine, bamboo, and plum trees to ring in the New Year. It is customary for people to start the year by viewing the first sunrise (Hatsu-Hinode), and your Japan Rail Pass can take you wherever you decide to enjoy this tradition, believed to be representative for the whole year that has begun. 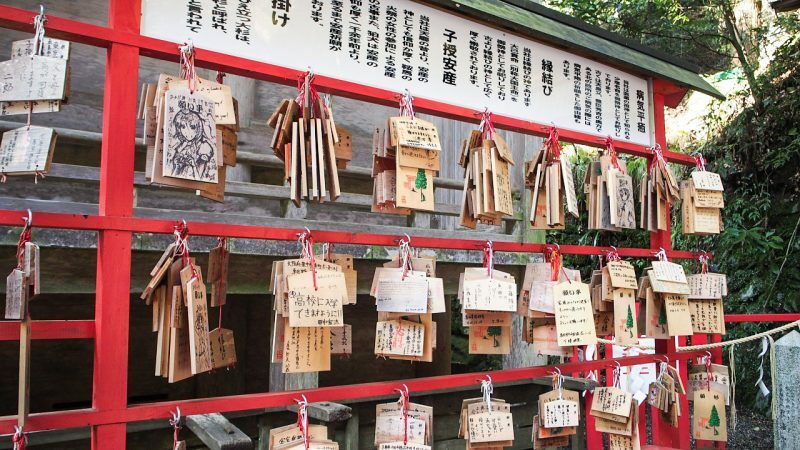 Another favorite New Year tradition is hatsumode or the first visit to a shrine or temple. The best temples in Japan attract several million people during the first three days of January, and here, you can experience a festive climate with food and stands, and join in the crowds at the main hall praying or buying good luck charms. We suggest a visit to a temple around midnight on New Year’s Eve when the bells are repeatedly rung. It is indeed an incredible experience. The main urban trains run through the night from December 31 to January 1, to help with the hatsumode dynamic. Japanese traditions and festivities at New Year’s Eve are a mix of Buddhist, Shinto, and modern ideas. The festivities during the last few weeks of December and early January are known as Oshogatsu and some of the most special are at the end of the year. Getting up early to catch the first sunrise of the year is a positive way to kick off the new year. The sunrise can be viewed from any vantage point. More energetic people hike up Mt. Takao or Mt.Mitsutoge though this is tricky if you have celebrated the night before! 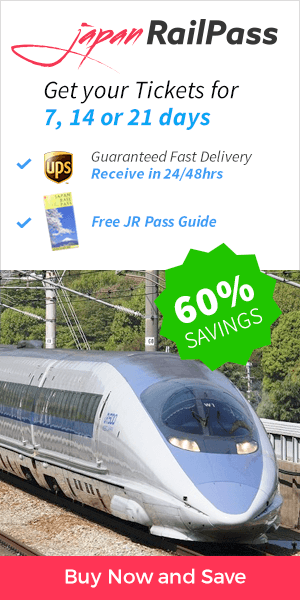 There are also special observatories at Tokyo Skytree and the Tokyo Metropolitan Government Building though getting tickets is not easy as you need to apply months in advance. Hatsumode is when you go to a temple or shrine to pray for the first time of the year. Japanese people normally do it during the first few days of the year and pray for good health and prosperity. It is typical to make a donation into a saisen (money box) and make a New Year’s wish. Just before the clock strikes midnight, temples ring a large bell 108 times as part of the Joya No Kane ritual. According to Buddhism, 108 represents the number of desires that cause humans suffering. The ritual purifies the mind and soul and cleanses people in preparation for the upcoming year. The nengajo business is a big thing in Japan. It goes beyond sending them to relatives and friends. Japanese send New Year cards to basically everybody they know, classmates, coworkers, and business partners. Japanese cards are more than season’s greetings they also enable the people who receive them to take part in a special lottery using the numbers that are printed on every card. In recent years the Japanese added watching a highly popular television program called “Kohaku uta gassen” as a New Year’s tradition. An annual music show on New Year’s Eve produced by Japanese public broadcaster NHK and broadcast on television and radio. There are also some Japanese games that children in Japan play on New Year. 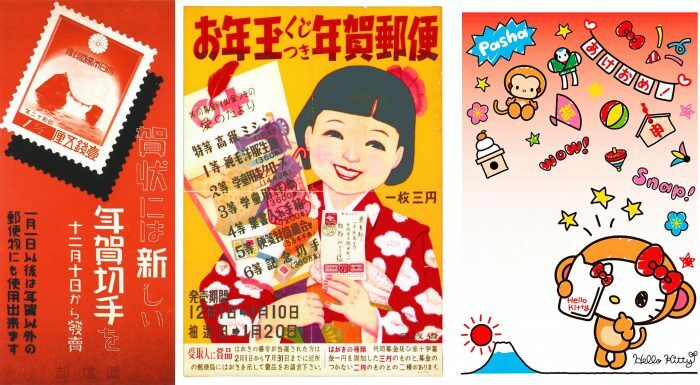 Some of these are very similar to games played in the western world, but with a twist: Hanetsuki (Japanese badminton), Takoage (kite flying), Fukuwarai (pin the tail on the donkey), Sugoroku (consisting of dice and some board pieces) and Karuta (a card game). Toshikoshi soba: The simple Japanese noodle dish is made from buckwheat noodles and it symbolizes longevity. Eating Toshikoshi Soba washes away the hardship of the previous year and welcomes the year to come. Mochi: The Japanese rice cake is made from glutinous short-grain rice called mochigome. The rice is made into a paste which is molded into various shapes. They are eaten year-round but are typically sold and eaten at the end of the year. Ozoni: A special type of miso soup which is enjoyed on New Year’s Day morning. The recipe and preparation vary between regions and households and it usually includes mochi. Toso: A spiced sake especially for New Year’s celebrations. It is been said for generations that “if one person drinks this his family will not fall ill; if the whole family does no-one in the village will fall ill”. New Year’s Eve in Japan is not a night for crazy parties like in many countries. Japanese people spend time with their families and enjoy traditional food, rituals, and activities. However, there are places to celebrate, especially in big cities. The ancient temple dates back to 1393 and is situated at the foot of the beautiful Tokyo Tower. The atmosphere is peaceful and lively and the event draws big crowds. The Buddhist tradition is performed to cleanse the participants of their 108 worldly desires but the celebration is more cultural than religious. Although most people stay in with their families, bars and nightclubs do throw big countdown parties and some of them involve dressing up. If you want fireworks on New Year’s Eve there are some spectacular displays near Tokyo. You can head to Yokosuka and Yokohama. Roppongi is an area where the bars and clubs throw legendary New Year’s Eve parties. The celebrations go on until the early hours and there are DJs, drinks, and dancing. It is a favorite spot for tourists as well as locals. In the last weeks of the year, Japanese people hang decorations made from pine, bamboo, and rope around their houses. The decorations originate from Shinto and are meant to welcome the New Year gods who bring luck and prosperity. According to the old Shinto beliefs, divine spirits live in trees so these traditional New Year decorations made of pine and bamboo. They are placed in pairs in front of homes to welcome in the gods. Kado means ‘gate’ and matsu means ‘pine’. Pine symbolizes strength as well as luck. Kagami mochi translates to “mirror mochi rice cake”. It is a traditional decoration placed in various places around the house from the end of the year until January 11. They are made from rice from the fall of the same year and their purpose is to bring a good harvest for the following year. If you happen to be in Tokyo during the New Year, be sure to check out the Emperor’s New Year Greeting. 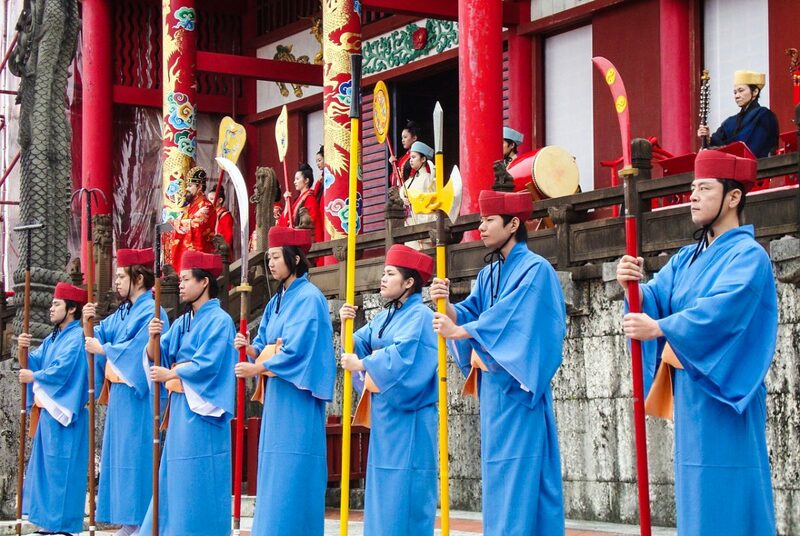 It is a yearly event where the Imperial Family makes several appearances throughout the day. Be sure to get there with time to spare before the appearance is scheduled, as you’ll need to get through the security checks and lines can be long. Take this opportunity, since this is one of only two occasions when the private grounds of Tokyo’s Imperial Palace are open to the public. The other is the Emperor’s birthday on December 23rd. The days between December 29th and January 4th form one of the busiest seasons, with large crowds and long lines. However, New Year is for some people one of the best times of the year to visit Japan. During the high season most people leave the big cities to visit their relatives in the country, and of course, there is a round trip after the New Year celebration. For that reason, trains, airports, and expressways get very overcrowded. Most tourist attractions, stores, restaurants and banks are closed between December 29th and January 4th, limiting your sightseeing, shopping and dining choices, especially on January 1st. Museums are typically closed for most of the holiday season. There is no closing schedule for gardens and castles, some close all days or only on some days, while others on a specific day, and some don’t close at all. However, temples and shrines do not close over the New Year. Shops and restaurants traditionally close one or two days over the holiday, typically on January 1st. However, in recent years, modern shopping districts and malls remain open. After reading our article, you will be more than prepared to explore Japan at this time of the year. Remember that it is customary for people in Japan to say to each other “Happy New Year,” so you can start practicing “Akemashite-omedetou-gozaimasu.”.